Hey guys, today we are going to talk about Kick Off Kodi addon. 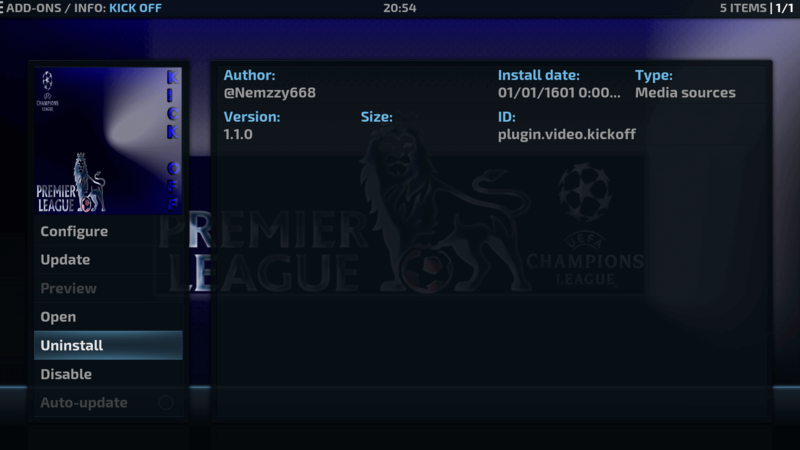 Kick Off is a popular live sports addon from Stream army repository. You’ll need to generate pin for access content from this Sport addon and pin will remain active for four hours. Try the addon if you want to watch highlights and live sports. Kick Off is now installed and ready to use. Previous articleHow to Install Boondock Kodi addon on Krypton 17.